Moments after Tiger Woods completed his 11-years-in-the-making comeback at the Masters on Sunday, he got dressed in the garb of winners. He slid on the traditional green jacket given to every Masters winner, which, all these years later, fit just as it should. He was handed the Masters trophy, shaped like the Augusta National clubhouse. He lifted the prize up, revealing the silver bracelet he wore during play—but now it was joined by a much less anonymous piece of jewelry: a Rolex Deepsea D-Blue watch. Of course it was a Rolex! Of course it was a Rolex because of contractual obligations—Rolex has sponsored Tiger for two decades, and gave the golf legend a new deal in 2011, even when it looked like his days posing with clubhouse-shaped trophies were behind him. Of course it was a Rolex because it is always a Rolex. Of course. Rolex, the thinking goes, is a watch worn by winners. That’s what has made the brand so special. Rolexes were worn by the soldiers who organized the escape from a German prisoner-of-war camp, the event that inspired Steve McQueen’s Great Escape. When Mercedes Gleitze swam across the English Channel in 1927, the first woman to ever do so, well, she did it with just a swimsuit on. But Rolex execs heard about her feat and the second time she did it she wore a Rolex Oyster the whole time to prove the piece’s water resistance. In 1953, when climbers Sir Edmund Hillary Tenzing Norgay became the first men to climb to the very top of Everest, they did so wearing Rolex Explorers. Rolex has maintained its prestige because of its willingness to give watches to winners. The fastest racers at the Formula 1 Grand Prix in Monaco, Le Mans, and the Rolex 24 at Daytona are given Rolexes as prizes. When Roger Federer hoisted his Miami Open trophy into the air last weekend, it shimmered alongside a gold Rolex Day Date. Rolexes, as the brand will not hesitate to remind you, are for winners. This isn’t just for kicks: it’s part of a long-held marketing strategy. Rolexes that come up to auction often do so having borne witness to crowning human achievements. And when watches formerly owned by race winners, record setters, and adventurers come up for auction, they sell for multiple times their original value. Which is good business for Rolex. There is a reason people wait years on a waiting list to get new Rolex models—the brand makes them feel special by outfitting adventurers and by proving that the value of these watches are only going to rise faster than Apple stock. All Rolex needs to do is point at recent auction results. When Tiger lifted that trophy, Deepsea clearly visible on his wrist, Rolex gained $2,288,777 worth in brand exposure, according to Apex Marketing Group. Much of Rolex’s foundation is built on dressing people who seem to accomplish the impossible. 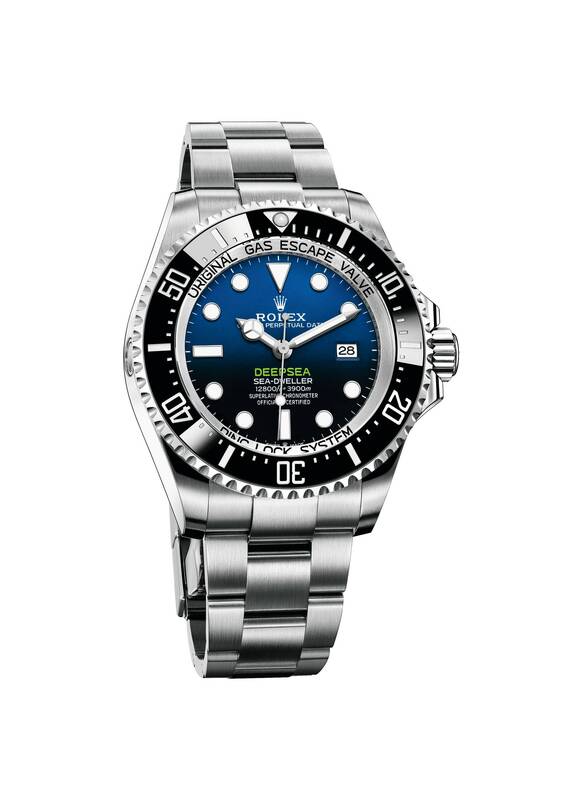 When director James Cameron went to the bottom of the ocean, Rolex provided him a Deepsea watch for the expedition. That Tiger wore that same watch on Sunday is a fitting metaphor: His depths may have come in the form of a bashed-in Cadillac Escalade in Palm Beach, Florida, but he’s climbed all the way back. And when he got to the top, he was wearing a Rolex.